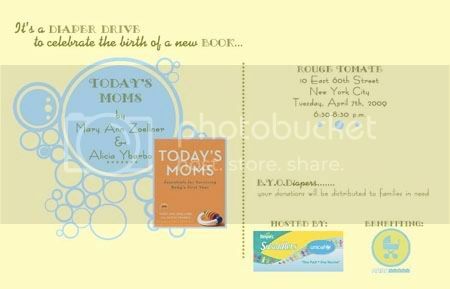 Last night I attended the Today’s Moms book launch party with a dear friend of mine, Amber, @JerseyMomma. 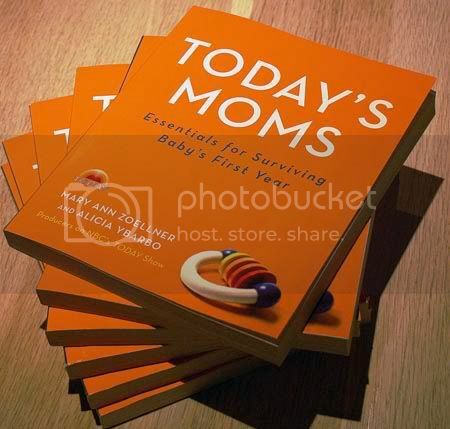 Remember how much fun we all had at the Twitter party with Mary Ann Zoellner and Alicia Ybarbo, the authors of Today’s Moms: Essentials for Surviving Baby’s First Year ($11.55)? I had a change to meet them in person yesterday, and I can not say enough of good things about these two ladies. Wait until you hear who all were in this VIP party, and you can understand that Amber and me felt little out of place when entering the party at the Rouge Tomate, but Alicia and Mary Ann and the people who work with them made us feel so welcome, and the party was so much fun! Oh, and thank God I saw Gary Vaynerchuk on the way to the party, at least one familiar face (well, familiar otherwise than just TV)! I was carrying a bag of diapers – and congratulating Gary, because he will be buying diapers soon – he is going to be dad within a few months. You may ask, why I was carrying diapers to this party.. The invitation read…. B.Y.O.D. Bring your own diapers – the authors of the book partnered with Pampers to have a diaper drive in addition to the book launch party to benefit Baby Buggy, Jessica Seinfeld’s non-profit organization helping NYC families in need, and the invited guests were also asked to bring a pack of diapers to be donated. 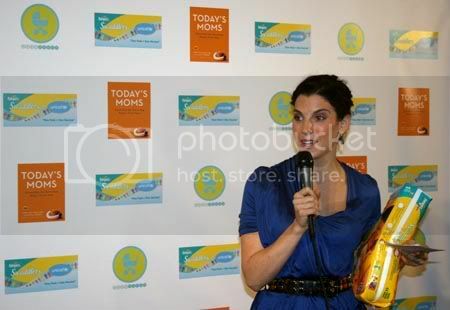 Pampers kicked it up a notch and the diapers donated became part of “One Pack = One Vaccine” campaign to benefit UNICEF. For each pack of diapers donated, Pampers donated vaccines and this “double donation” enabled UNICEF to provide nearly 2,000 vaccines to help protect women and their newborns in the developing world against Maternal and Neonatal Tetanus. So, the party was not only fab but also contributed to an important charitable causes. I know you want to know the scoop who all were in this party, right? Well, I have to admit, how ever much I like taking photos, I ain’t no paparazzi, and I didn’t take many “celebrity shots”. Frankly I feel little silly to ask a photo, and even sillier if I try to sneak one, hoping that I’ll a) get a good picture but b) the person won’t notice I’m taking it and c) I won’t look like an idiot doing it. But I have no shame telling you that Matt Lauer, Tiki Barber and Andrew Shue look as hot in real life than they do on TV. 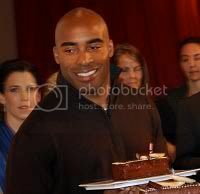 It happened to be Tiki Barber’s birthday, so Alicia & Mary Ann got everyone singing happy birthday to him. NBC’s TODAY Show’s crew was at the party, including Meredith Vieira, Al Roker, Ann Curry, Natalie Morales, Hoda Kotb and Matt Lauer and Tiki Barber, like mentioned. Some of the celebrities attending were Christy Turlington, Andrew Shue, Melissa Rivers, Bobbie Thomas and Natalie Morales. Besides the authors of the book, Amber & I spoke with Hoda Kotb for a while, and left the rest of the celebs enjoy their evening without this blogger’s questions. I was happy to meet for the first time my long time twitter friend Isabel Kallman of AlphaMom.com. What would you do, if you had a change to meet some of these celebrities and TV personalities? Really, I want to know, because I am interviewing one of America’s Top TV Moms on Monday, and I have no idea what to ask her!! Awesome, Katja! What a fun time you must have had. I’d just like to know how they do it all, even with paid help. I know it’s a lot.